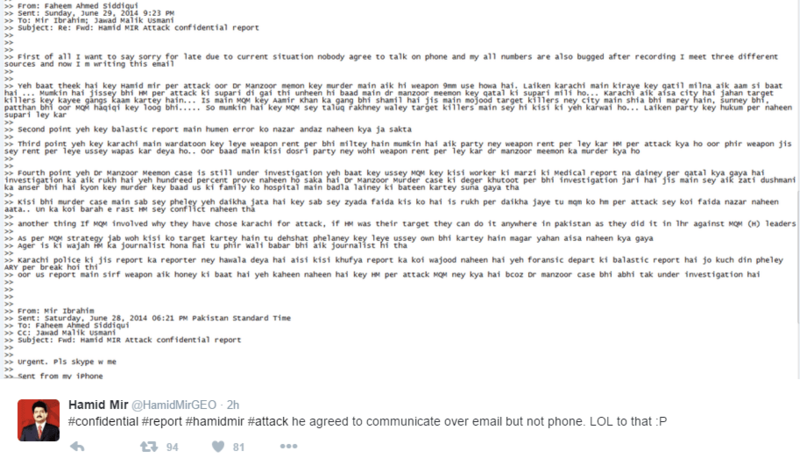 Pakistani journalist and show-runner of Pakistan’s famous political TV show Capital Talk, was hacked by an Anonymous hacker. 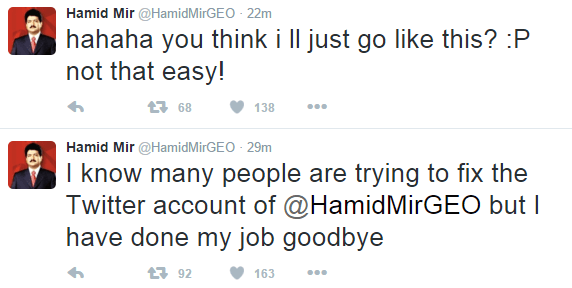 The hacker got access to his email account as well as his verified Twitter profile. 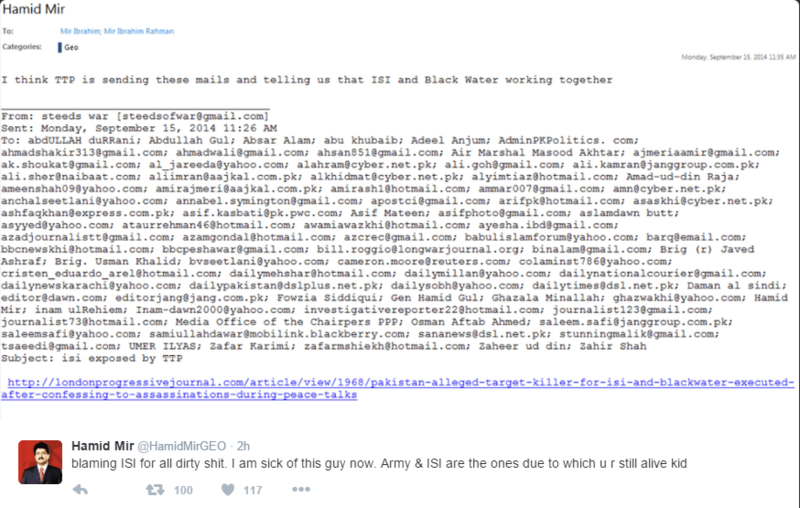 Over the period of about 4 hours, the hacker made some three dozen Tweets, some of which included screenshots of email conversation between Hamid Mir and important political figures in Pakistan. 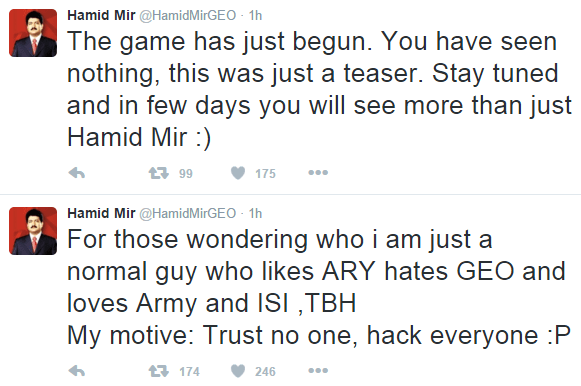 Although Hamid Mir was able to get access to his account and deleted all the Tweets made by the hacker, but there is a thing about internet: You cannot simply undelete something that easy once it makes to a social media platform like Twitter or even Facebook. 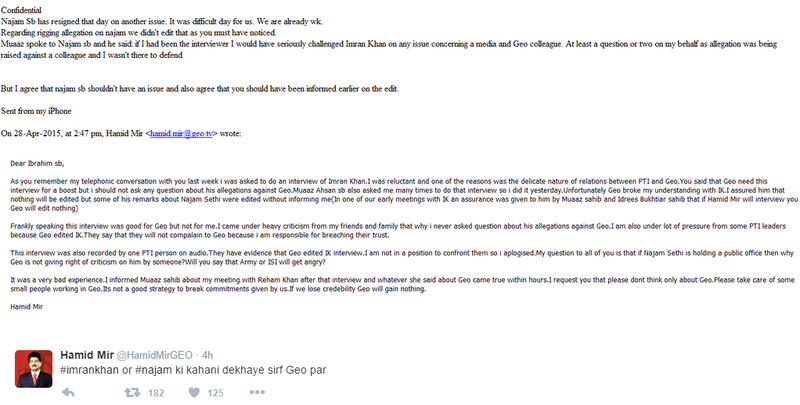 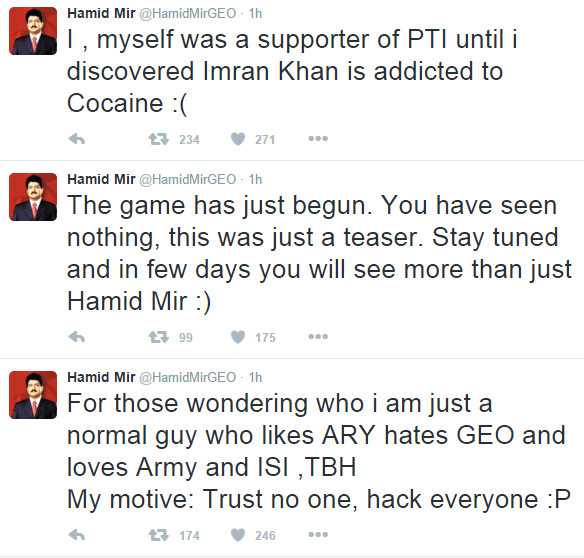 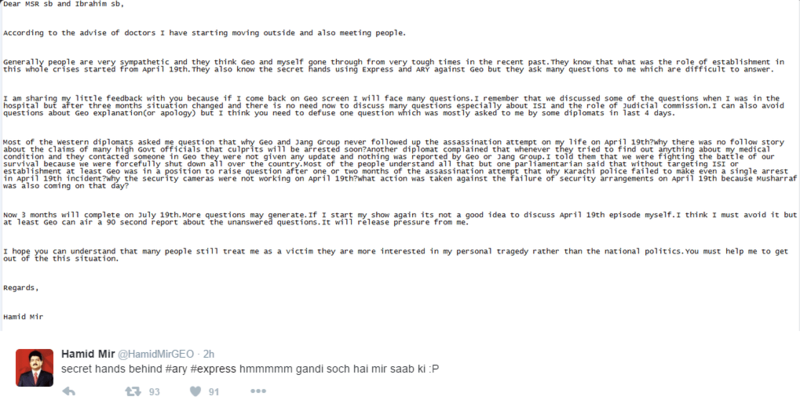 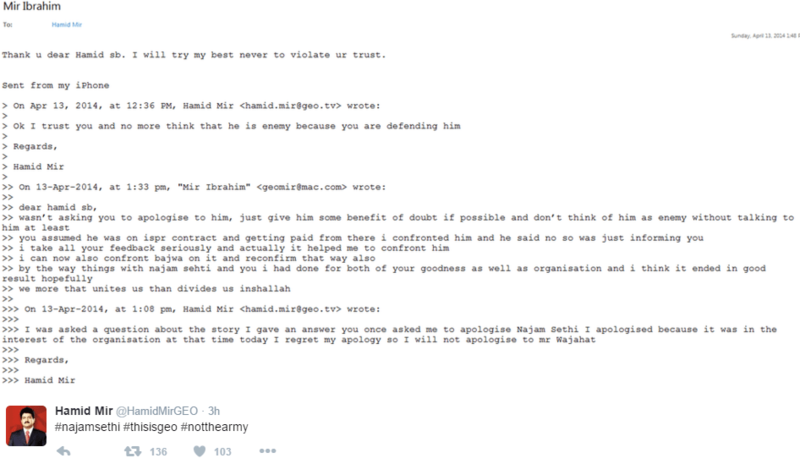 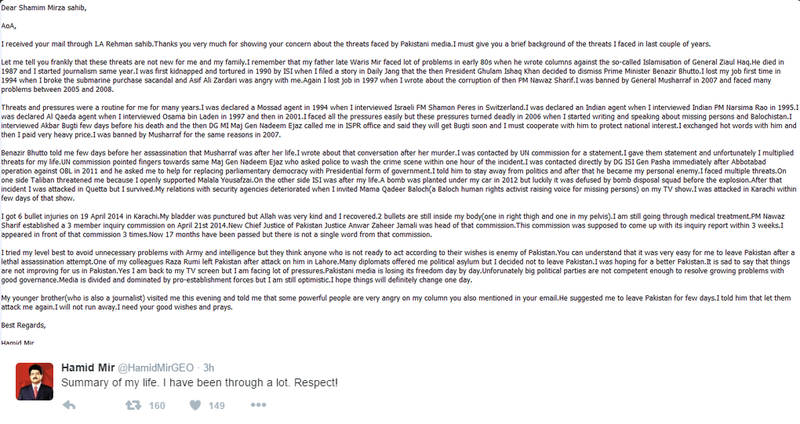 Here are all the tweets that were posted by the hacker on Hamid Mir’s verified Twitter account.